‘We’ are me and my de facto agent, Martin Paterson, who’s worked every bit as hard as I have to see the book published. While I have been writing away, Martin’s been very busy looking for reviewsandtaking care of promotion. At the same time he’s been a shoulder to cry on, and given me many kicks up the backside to counter my inherent procrastination (a dire condition common to many writers). You don’t need a publishing imprint but there are many advantages. Being your own publisher doesn’t mean you have to set up as a company or register the name with tax authorities as a sole trader. Just make sure your name is unique (by internet search). In our case, MacZon Press is a project of an enterprise we have been running for two years, The Machine Zone. This topic is just one of the many things to consider before publishing your Indie book. There are many more I’ll cover. After publication of Scotched on November 5, I’ll write a long post covering some of these topics on the journey to publication. I’ll also do shorter posts detailing individual topics. OK. You’ve written the book but who’s the publisher? If you go through Amazon KDP or IngramSpark, they will appear as the publisher. They’ll give you a FREE ISBN (International Standard Book Number) which will save you a lot of money. Nothing wrong with doing that. Buying a single ISBN in the UK will set you back £89. You purchase one from Nielson . So why on earth would you spend that if you can have it for free? Especially as legally you don’t even need an ISBN. Well, think about setting up your own publishing imprint. It doesn’t have to be a legal entity such as a limited company. My own imprint is Maczon Press (Maczon, by the way is a Scottish surname but also refers to an organisation I help run called The Machine Zone). Provided you check (using Google) that nobody has the same name as a publisher you can call your imprint whatever you like. Now, although one ISBN costs nearly £90 you can buy ten for £159. Each ISBN will be linked to your publishing imprint each time you publish a book. There are only me and friend Martin behind both Maczon and The Machine Zone. But, for instance, as we are both engaged with community work, we could work towards Maczon becoming a ‘community publisher’ or similar. I’ll be adding posts on the subject of alcohol and fiction. The novel I’ve just finished editing is soaked with alcohol! There is the history of writers (and other creators) who’ve had big alcohol problems. Hemingway, Fitzgerald, Rhys anybody? Here, I’d strongly recommend Leslie Jamison’s The Recovering: Intoxication and its Aftermath which is a beautifully written part-memoir, part literary history of drink and writers. Some of the writers in the above write of alcohol addiction. John Berryman’s Recovery for instance. I’ll select for future posts some of the best novels. But I begin with an extract from Jack London’s John Barleycorn. This brief snippet compresses a great deal of the spiritual despair that comes with the booze. pessimistic German philosopher. He sees through all illusions. frailty, their meagreness, their sordidness, their pitifulness. escapes making the just, due payment. It’s very rude and ignorant to call a Scottish person Scotch. Very bad form. You can use the word safely and correctly, of course if you ask for a Scotch egg. On the other hand, it would be insulting to call someone a Scotch egg. It’s also fine to ask for a scotch in a bar. Just don’t ask for a scotch that Scotch people favour. The definition at the top of this post reveals some of the quite intense meanings which have attached to scotch. I tell you that after a hard day’s writing I am absolutely scotched. Indie Publishing (a phrase I prefer to ‘self–publishing’) has its own culture, largely characterised by a commitment to getting authors’ work out there and given the kudos of mainstream publishing. The culture is also marked by generosity, support and sharing. The phrase ‘self-publishing’ has a wide usage and covers a great deal. ‘Indie publishing’ is more a flag of honour. I’m reminded of the history of indie music production and marketing. The Independent newspaper is happy to co-opt these connotations and be known as ‘The Indie’, perhaps suggesting its claimed difference to other mainstream commercial operations. 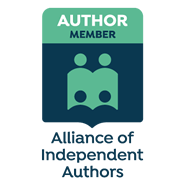 The independent publishing field contains largely authors who want to have more freedom, see their writing as a business, and overcome the problems associated with traditional publishing. A smaller number of Indie authors are less interested in making money, and more centred upon radical, experimental writing. In practice, the many available resources to help writers self-publish are useful whatever your motivation may be. Joanna Penn, herself a best-selling author, set up The Creative Penn to help others. Her website is a fund of advice, links and resources. It’s totally fair that it’s also partly a marketing tool. Marketing your books while offering excellent free stuff are not incompatible: in fact it’s a great blueprint for all authors networking, making connections and happy to give freely quite aside from any gains in book sales. Go and see the site. You’ll probably be as happy and grateful as I am. Now, technically, that is probably true. If you have a Word manuscript you could just upload it, use KDP’s ‘cover generator’ and, yes, your book would be available in print and ebook forms. It would cost you nothing. Zilch. However. I began to google, research, explore the field. The first thing I discovered was that there are hundreds of ancillary services selling themselves as providers of either complete publishing packages or elements such as professional cover design, formating, audiobook production, marketing. Many of these services have excellent reviews and take much of the hard work away from the author. But at a price that can be substantial. I’ve just received this great book. The Flame is the book Leonard Cohen was working on right to his death on 7 November 2016. It is a collection of 63 poems he selected as ‘complete’ (Part 1), poems which became songs (Part 2) and material collected by the editors after his death (Part 3). It also includes Cohen’s acceptance address for the Prince of Asturias Award. Poignantly, also included is his last email, 24 hours before his death. Throughout the pages, at his own wish, are drawings by Leonard Cohen. The introduction by his son, Adam, is brief at two pages but gives intense insights into his father; the same is true of the equally brief remarks by the book’s editors. It’s beautifully produced by Canongate and a must for any Leonard Cohen fan. Elli is the story of a young girl’s coming of age during the Holocaust. Livia E. Bitton Jackson’s account of her experiences in 1944 onwards as the Nazis continued their rounding up of Hungarian Jews, people who would suffer at first growing restrictions and then to the ‘final solution’ at Auschwitz. I frequently read about the Holocaust, not because I am interested in the Nazis but because I am interested in human beings. I believe it is vital to always keep in mind how a highly civilised people like the Germans could stoop, as we are all capable of in certain circumstances, to the depths of barbarity and cruelty. This is among the best biographies I have read. It contains some truly horrifying examples of brutality by people who in other worlds would be considered ordinary. Yet it is the writing quality as well as the witness which commends the book. It is the work of a very gifted writer and a very brave girl. Right then, new blog. This one is the ‘author’ website which is supposedly vital these days if you want people to read your books. It will be some time before I say anything authorial as I have some way to go with my first novel. It’s finished. Kind of. Now I’m going through the deserts of proofing and editing. When all’s done, including blurb, cover, purchase of ISBNs etc., the manuscript will be uploaded to Pressbooks for formating. Pressbooks runs on a WordPress platform, and offers a range of format themes. It formats to your wishes then you can download different file formats (.mobi, pdf etc) to send to your chosen service. That chosen service for me is – wait for it! – Amazon KDP for print and EBook versions. If I were an ethical consumer, of course, I wouldn’t go near Amazon. But I’m not. A few months after the world stops in some sort of aesthetic fever, I’ll also be going via IngramSpark if it looks like people are reading the novel. Ingram Spark has the best distribution service.